It is well known that Swami Vivekananda (Swamiji) had long considered character to be the hallmark of an educated person. He emphasized times without number that education is not the “amount of information that is put into your brain” but the “life-building, man-making, character-making assimilation of ideas.” In 1939, the Governing Body of the Ramakrishna Mission took a small step towards actualizing this vision of education by starting an institution of higher education near Belur Math called Ramakrishna Mission Vidyamandira. The name ‘Vidyamandira’ is Swamiji’s own christening of the educational institution he wanted near Belur Math. A couple of decades later, during Swami Vivekananda’s birth centenary year (1963), the authorities of the Ramakrishna Mission submitted a proposal to the Government for the starting of the Vivekananda University. For various reasons, however, the university did not materialize at that time. Efforts in this direction were made off and on in subsequent years until finally, a deemed university under University Grants Commission (UGC) was established under Ramakrishna Mission’s auspices in 2005. The Ministry of Human Resource Development (MHRD), Government of India, declared the Ramakrishna Mission Vivekananda Educational and Research Institute (RKMVERI) under the aegis of Ramakrishna Mission, as an Institution deemed-to-be university under Section 3 of UGC Act, 1956. 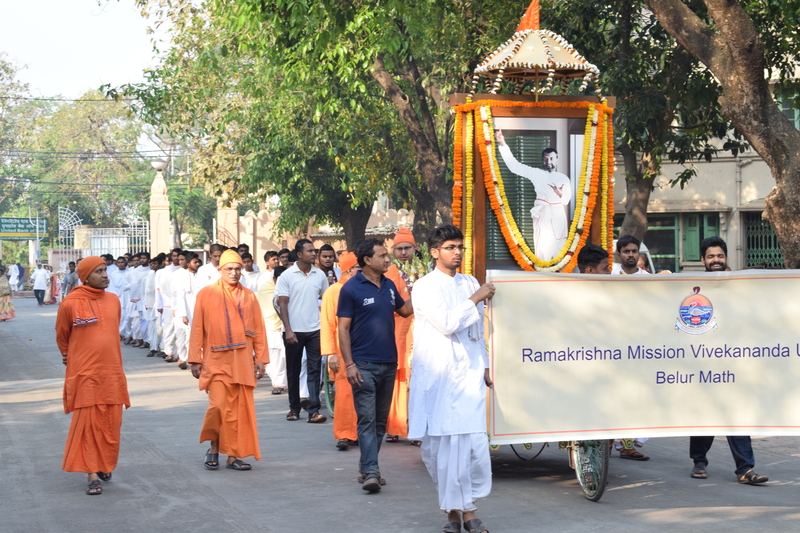 The Institute was subsequently renamed ‘Ramakrishna Mission Vivekananda University’ with the approval of UGC, but reverted to its initial name RKMVERI in 2017 upon a directive from the UGC. Since its inception, the university has been steadily and organically expanding its activities along the lines of implementing Swamiji’s wholesome vision of education. Headquartered at Belur as Swamiji wished, it began in July 2005 with just one department in the Specialized Faculty Centre at its off-campus centre in Coimbatore in the unique field of ‘Disability Management and Special Education’. In the following year, more off-campus centres were added in other thrust areas (areas chosen for special focus), such as the faculty of ‘Integrated Rural Development and Management’ (IRDM) at the Ramakrishna Mission Ashrama in Narendrapur (Kolkata) and the faculty of ‘Integrated Rural and Tribal Development and Management’ (IRTDM) at the Ramakrishna Mission Ashrama, Ranchi (Morabadi). 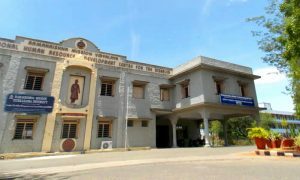 The Coimbatore centre subsequently added the Faculty of General & Adapted Physical Education and Yoga (GAPEY) in 2007 followed by the Faculty Centre for Agricultural Education and Research (FAR) which started operations in 2014. In parallel with the establishment and expansion of these off-campus centres, the Belur main campus has been seeing a great deal of expansion in academic activities directly in line with Swami Vivekananda’s ideas of education. Swamiji’s passion for Sanskrit as well as for the fundamental sciences is well known, and the combination of the best elements of the East and the West was his favourite dream; in fact, he is said to have remarked that “on the lands of Belur should be established a University that would keep the ancient Indian traditional wisdom intact and harmonize it with the modern scientific knowledge”. In pursuance of this grand wish, two Schools were established at the Belur main campus: the School of Mathematical Sciences, devoted to three important areas of fundamental science (mathematics, theoretical physics and theoretical computer science), and the School of Indian Heritage, devoted to the study of Sanskrit, yoga, ancient Indian heritage and Vedanta (particularly the Upanishads and the Bhagavad-Gita). These two Schools have been placed alongside each other in physical structures which are mirror images of each other, facilitating a natural and unconscious blend of thought consonant with the harmony envisioned by Swamiji.